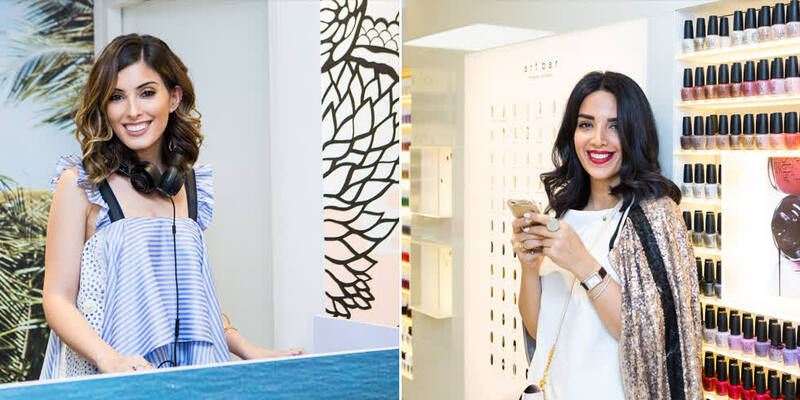 Drive down Jumeirah Beach Road to find the ultimate destination for all things beauty – our newly opened flagship location for TNS, Marquee and our new concept artbar right on Jumeirah Beach Road. We celebrated the opening with a fun filled launch party with Dubai’s socialistas and fashionistas as we partied the night away with Dubai’s very own Tala Samman setting the vibe for the evening in the DJ booth, while Zahra Lyla and other VIP guests sipped on mocktails and delved into canapes by No. 57 Cafe. 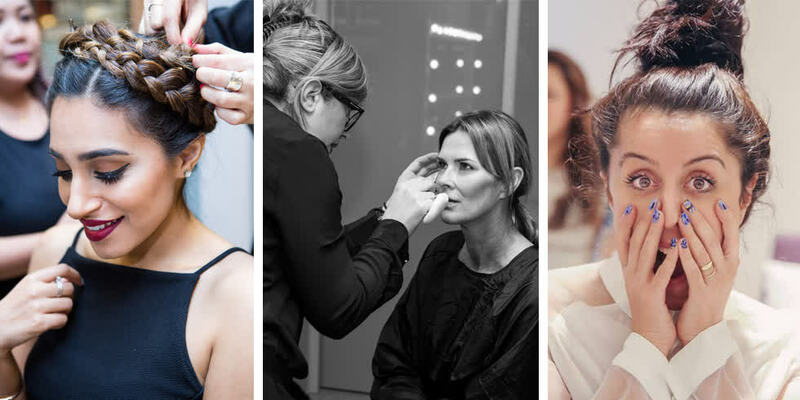 The event, in conjunction with Harper’s Bazaar Arabia saw an array of gorgeous ladies getting their glam on in Marquee with Illumin8 make-up experts, while Marquee hairstylists added some fun and flair with hair braiding and glitter dust on roots of the hair to finish off a fabulous and flirty look. Meanwhile in TNS, Guests settled in with a much-needed back massage or opted for quick fix manicures by Alfa.K – the quickest and easiest way to update your mani in just ten minutes with uber on trend nail decals sold exclusively at TNS. 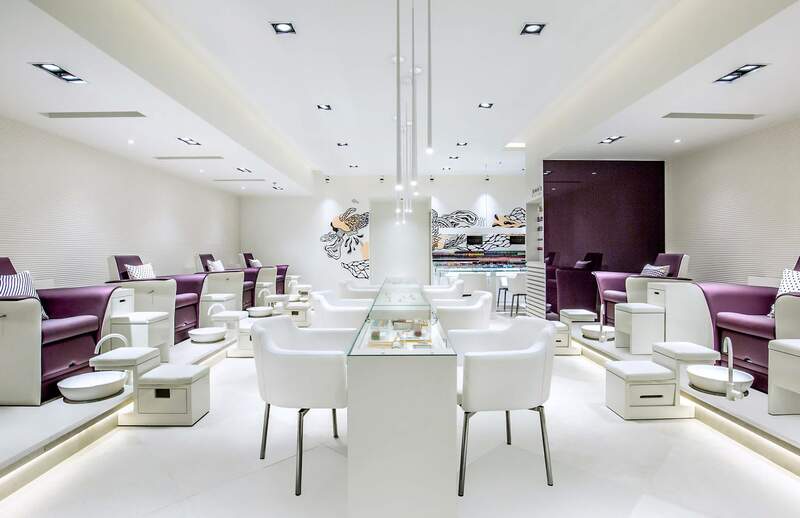 If you haven’t heard yet, artbar is our innovation lab for nail design like no other. Express your style with designs from our limited edition collections from the artbar archives or make your own unique design with the help of a fully stocked jewel bar and our three incredibly talented artbar artists. 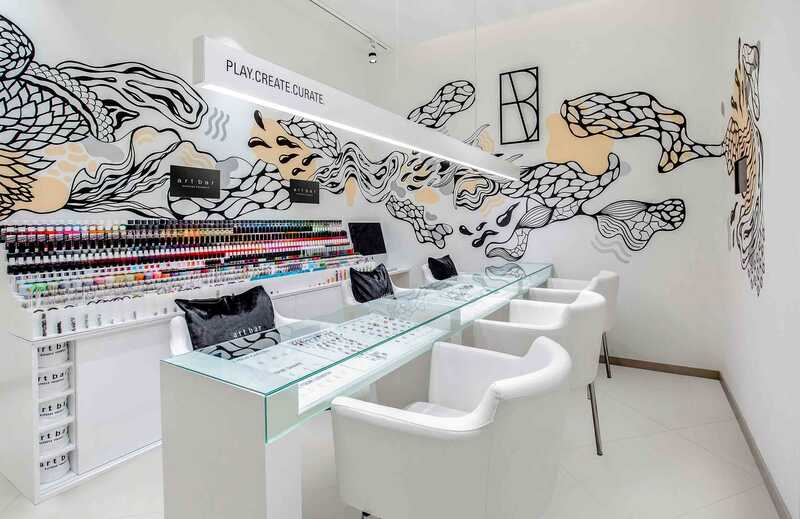 Guests took their seats at artbar to play, create and curate their nail design for the evening before leaving with a statement artbar canvas tote filled with edible delights from Scoopi, Beem and Vita Coco and beauty must haves from Kure Bazaar, Foreo, OPI and Kiesque. You can check out all the pictures from the night right here. 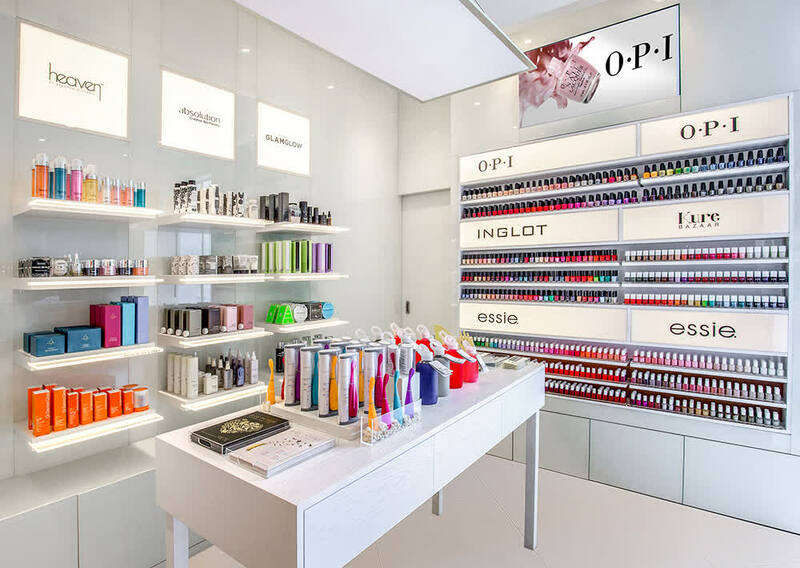 If you haven’t visited just yet, enjoy some retail therapy with some of the coolest beauty available in the Dubai from brands such as Alfa.K, Foreo and BKR. You can even purchase polish from over a selection of 300 shades from Essie, Inglot, OPI and Kure – but our favourite current nail product is the Kiesque Liquid Palisade – a paint on cuticle tape to create the perfect polish without any nail polish bleeds or mess, and it’s the hottest nail product taking over Instagram! At Marquee whether it’s a fabulous new cut you’re looking for, a colour update, beautiful braids or va-va-voom blow-outs, we have you covered. 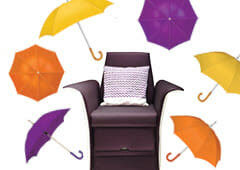 Go all out and indulge in a nourishing hair facial while you lay back on our flatbed back wash chairs, we’ll even tuck you in with a cosy blanket! Keep up the haircare at home with take away kits and Kevin Murphy products to give your lustrous locks some at-home TLC. If you’re looking for that extra oomph, get our hair masters to hook you up with hair-styling extras from the Balmain Hair Couture wardrobe. Pick from their light-weight hair extensions, or opt for clip in styles to give you extra length, height and volume – one of our favourites is the runway Catwalk Dip Dye Pony Tail. 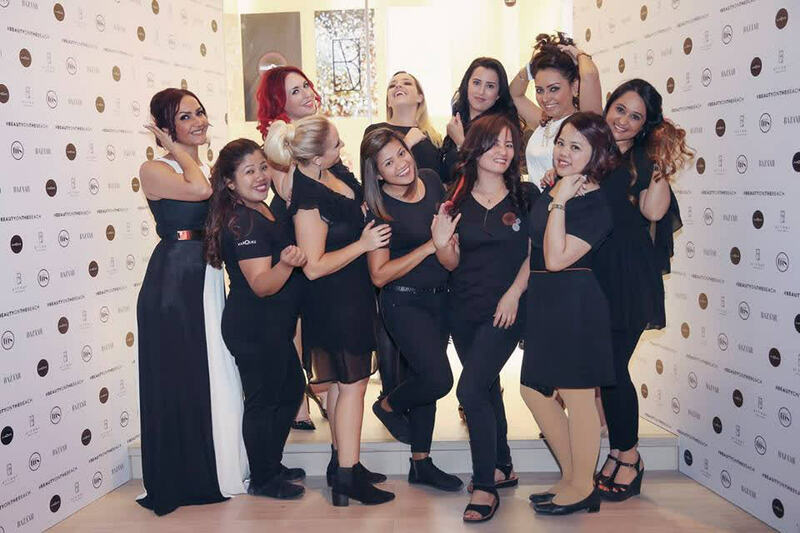 Our dazzling Beach Road team will treat and tend to your hair like the world class professionals that they are!